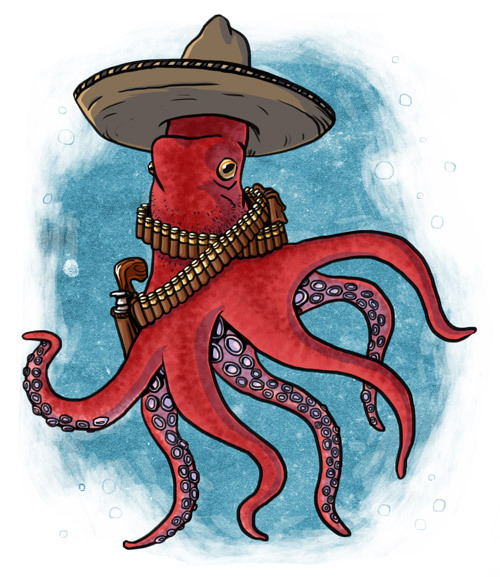 Categories: pics	Tags: billy the squid, character design, cowboy, fish, illustration, octopus, the ugly, where does he keep his cigar? Baha this is awesome! A nice funny take on the topic!